Window graphics created with your art in any size or shape. Fabricated using 70/30 perforated window adhesive, clear window cling, and high quality white or clear adhesive window graphics are an essential tool in marketing. 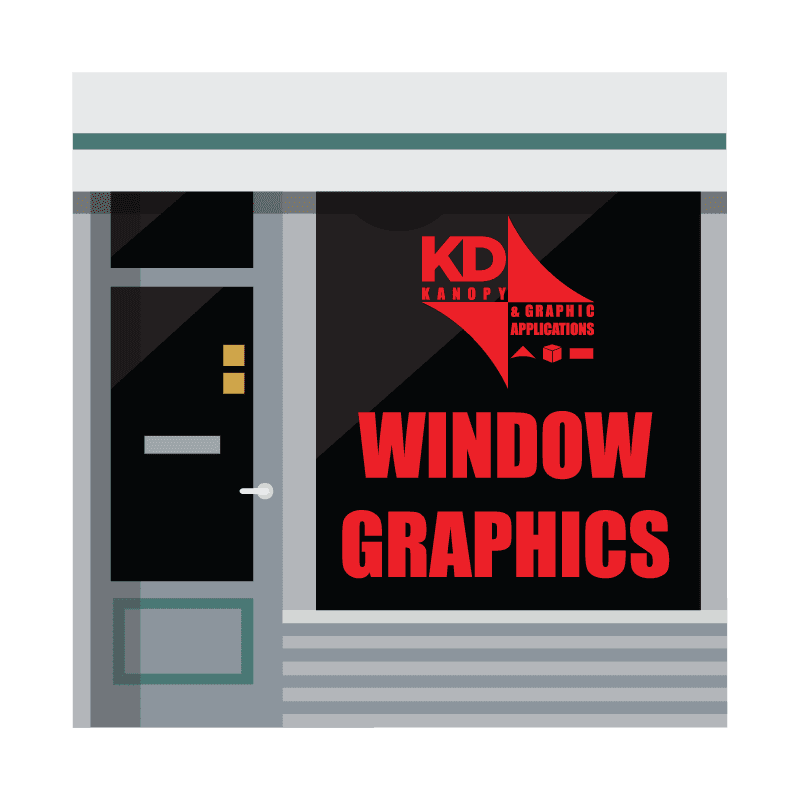 This can be as simple as die cut store hours or your company logo or even elaborate designs or photos cut to size for an exact fit to your storefront or car window.